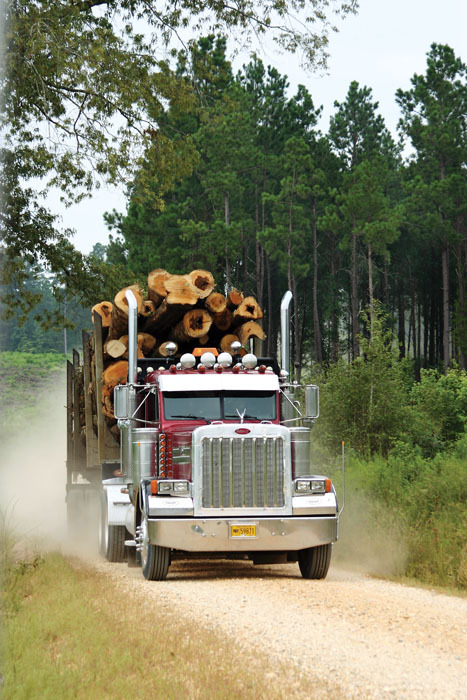 Timber Harvesting’s March/April issue spotlights the issue of the transportation of logs, chips and wood fuel, which, in today’s market, is a costly, complex, regulated undertaking, no matter how advanced the equipment may be. Heavier allowable weights on the Interstate system may be part of the solution, but a not-so-certain Congress is taking its time moving forward. 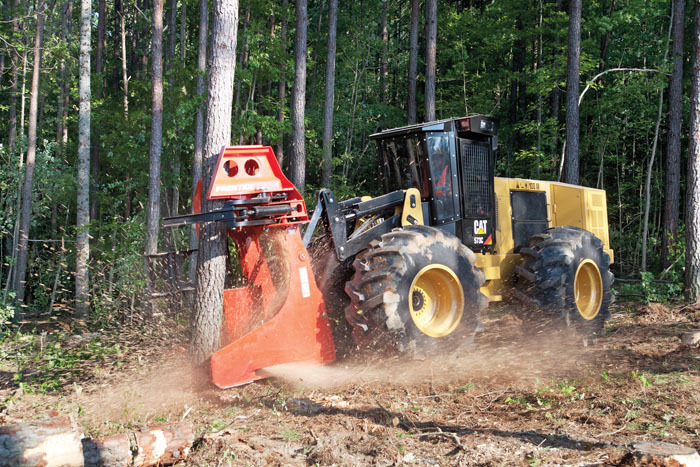 Also featured is a product profile of the Cat/Prentice C Series, which is rated well among loggers who list fuel economy and stability as strong points of the new wheel-type feller-buncher. 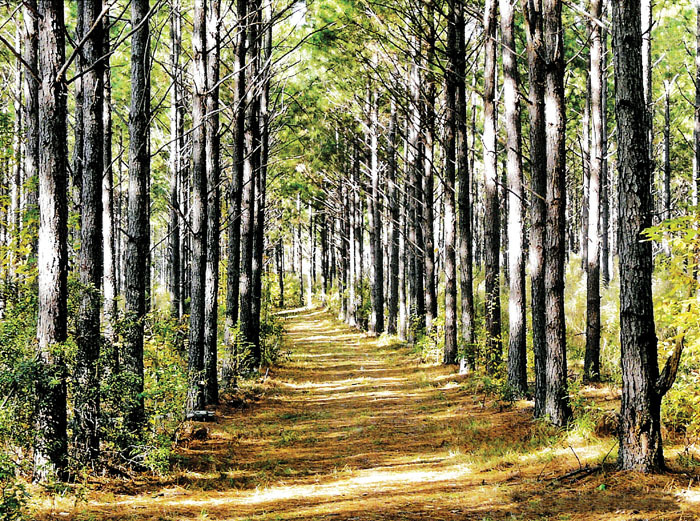 An article highlights conservationist Amos Eno’s commentary on the challenge of maintaining working forests in a changing society. 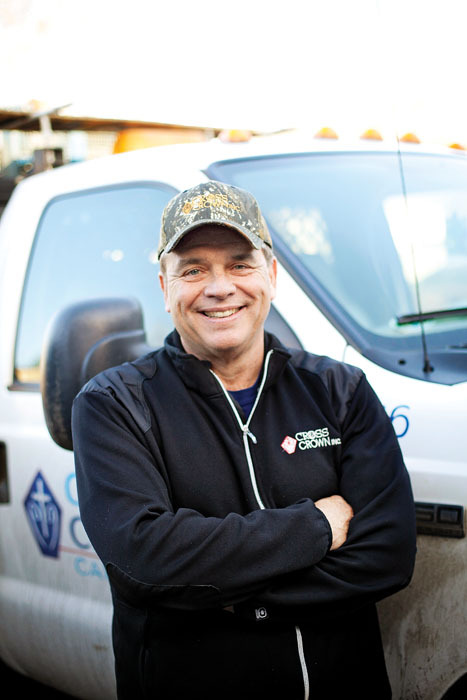 A growing shortage of trucking capacity, caused in part by ever higher operating costs, increasing regulations and a shortage of drivers, underscores the need for reform of the log/wood fiber transportation system, today one of the wood fiber supply chain’s most daunting tasks. The precipitating event to my presence here occurred last year when we received a copy of Robert Williams’ superb educational video: A Working Forest. Everyone in our office viewed the video and we were uniformly impressed, and unanimously agreed to add it to our web sites. I called Bob Williams ([email protected]) to compliment him and heard his saga of sending out several thousand copies with little response and market acceptance, although I gather over 30 forestry colleges and tech schools are now showing the video. I pondered that scenario and concluded that the video is excellent in stating a contemporary issue warranting attention, policy reformation, and for jaw boning public attitude adjustment on a broad scale. The problem with the video is that it did not conclude with an actionable agenda of implementable policy and investment options, nor the necessary propellants to change public attitudes and behavior. I don’t read newspapers much anymore, but a few weeks ago a front page article in the Montgomery Advertiser caught my eye. The article addressed log truck traffic in downtown Montgomery, Ala., which happens to be the location of Hatton-Brown Publishers, parent company of this magazine. In asking whether log truck traffic seems to be increasing downtown, the writer got mixed reactions from locals who work there, and from Alabama Loggers Council leader Ray Clifton, who said he doubted such traffic was increasing. Regardless of where they happen to be, today’s log truck drivers, overall, are safety conscious and responsible, Clifton pointed out. 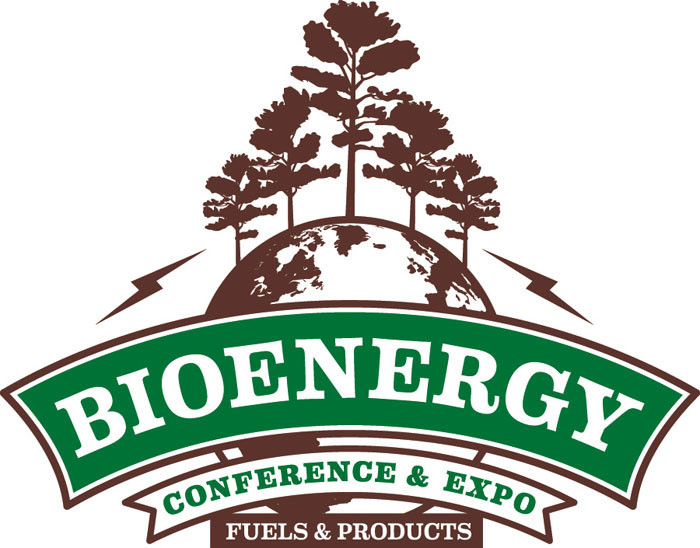 At the recent Bioenergy Fuels & Products Conference & Expo in Atlanta, Ga., sponsored by Wood Bioenergy magazine, several presentations explored the impact of the growing biomass and wood bioenergy industry on timber supply and markets, especially in the Southern U.S. where much of the industry’s growth is occurring in response to demand from European power producers charged with reducing greenhouse gas emissions. John Deere announces continuation of its planned building-block approach to meet U.S. Final Tier 4 and European Union Stage IV emissions regulations. 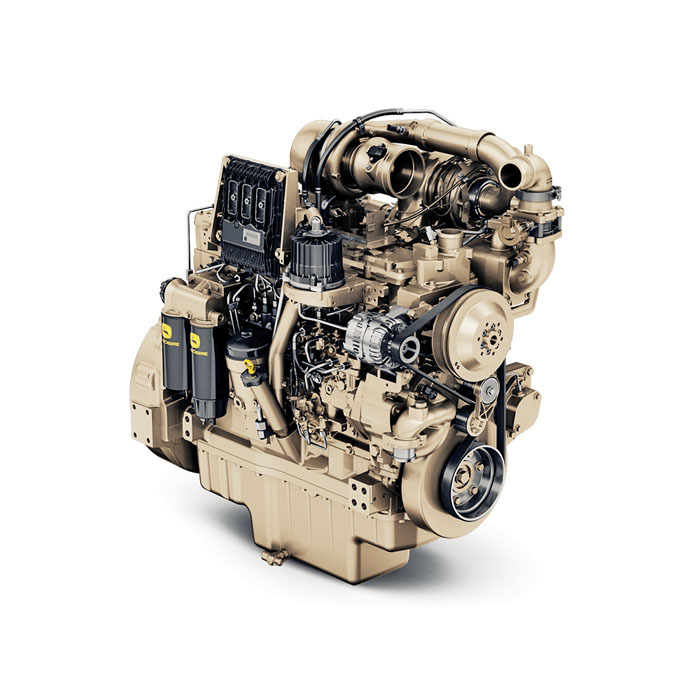 Final Tier 4/Stage IV regulations for off-highway diesel engines begin as early as 2013 for engines 74HP and below. Regulatory dates for engines 75 HP and above will be implemented in stages starting in 2014 and 2015, and require particulate matter (PM) levels established by Interim Tier 4/Stage III B regulations to be maintained while requiring an additional 80% reduction in nitrogen oxides (NOx). 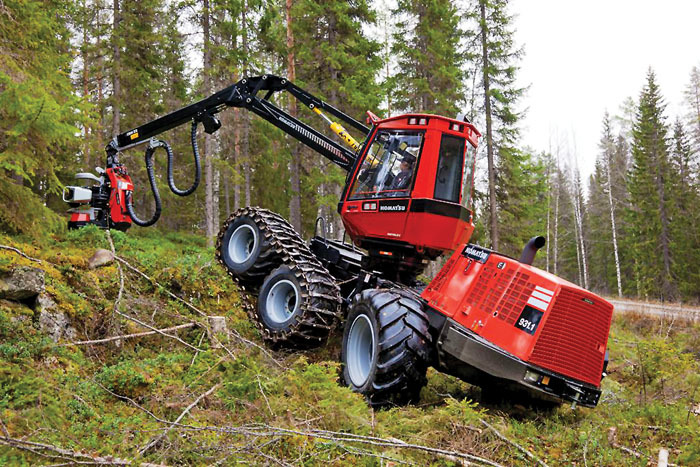 The new Komatsu 931.1 EPA Tier 4 Interim compliant harvester replaces the 931 harvester and continues to provide the high levels of performance, reliability, serviceability and operator comfort that earned the 931 its reputation.